It’s that time of year again! Your hair or your child’s hair may be the last thing on your mind. You want easy back-to-school hairstyles that you are happy with. I have the solution for you! Here are 50+ easy back-to-school hairstyles. Watch Hairstyle – How to Style the Fishtail Braid with Christina Chitwood video! This is one of my favorite go-to quick and easy hairstyles! 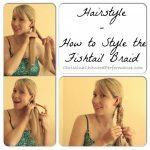 See my blog post, Hairstyle – How to Style the Fishtail Braid, for each of the steps written out and on video, as well as 5 ways to make your fishtail braid more interesting. Wearing my hair straight is typically my go-to hairstyle. Here you can learn how to blow-dry your hair straight using round brushes, which is how I do my hair. I’ve definitely used a straight iron for many years. You can use bigger sections of hair if you need to go quicker and aren’t needing your hair to be perfectly straight. It also depends on how thick and course your hair is. You would never guess how pretty you can make a simple ponytail! Quick, easy, and of course you decide how elaborate you want to make it. Pigtails aren’t just for younger kids! You can have fun with pigtails at nearly any age. So sweet! Dad shows how to do a basic braid (3-strand braid) on his daughter’s hair! I first heard about Greg when he became known for learning how to style his daughter’s hair and sharing how with other dads. If you don’t know how to do a 3-strand braid, watch this video. These three hairstyles are so easy to do, are pretty, and they only take about one minute to create! This hairstyle looks so pretty and even sort of fancy, while being extremely easy to do! You just need to know how to do a basic braid (3-strand braid). This is an extremely easy braided bun to do. You just need to know how to do a basic braid (3-strand braid). Learn how to do the traditional French braid! A bigger, messier French braid on the side! I love how easy and quick these waves are to create! They look so pretty, too. A simple way to get pretty waves without using heat! You can do this at night before you go to sleep. or there are other options in the video. Here’s another option you can sleep in to create heatless waves! This is a nice and easy way to get waves without using heat and only using a headband or two! You can get these gorgeous curls in only 5 to 10 minutes of styling! Plus, they are heatless! If you want them to be heatless, you will have to let your hair dry while you get ready in the morning or are doing something else. These are so beautiful and a huge time-saver! These curls do use heat as you will be styling with a small-barrel curling iron. This is great if you want a tighter curl and to wear your hair curly for two to three days. It lasts longer than when styled with a curling iron usually does, and it’s heatless, which is awesome. 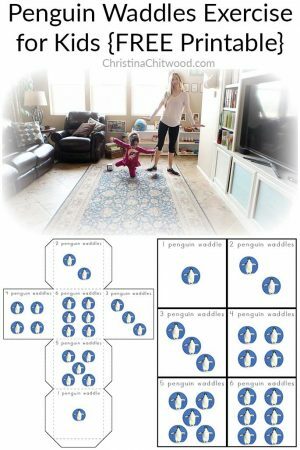 If you’re doing curls on a younger child or you just want some easy-to-create curls, this is a good tutorial. You will do this the night before and then sleep in the knot curls. 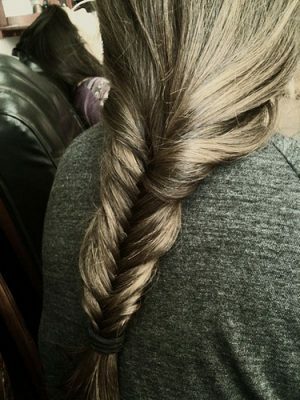 I especially love the double-braided hairstyle! Super easy and very cute. This is such a pretty look! I love the curls, and this waterfall braid is so easy to do. This time, the traditional waterfall braid. The great thing is you can do this like the tutorial or just on one side as a small braid. Again, I love the curls. A mixture of the basic three strand braid, fishtail braid, and Dutch braid, finished with a messy bun! Once you’re comfortable doing these braids, this hairstyle is pretty easy to do. It just has a few steps to it. Once you feel comfortable with the fishtail braid and Dutch braid, you can have fun with this pretty bun! Once you’ve mastered the Dutch braid and French braid, this is a beautiful and fun hairstyle to try! These three braids are really quite easy and so cute: 4-Strand Lace Braid, Dutch Bow Braid, and Knotted Braid. It’s as easy as three knots to get this pretty hairstyle! 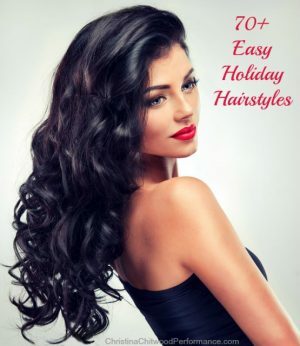 You can have your hair straight, wavy, or curled. A pretty alternative to add to your half updo repertoire! I love how knots are so easy to do on hair. This looks so neat! Yet, it’s easier to do than you’d think. Two very pretty back-to-school hairstyles! They’re both nice and easy. If you have short hair, these are some fabulous styles for you that are quick and easy! Three simple and pretty hairstyles that can be done in under 5 minutes! These five hairstyles are easy and heatless! You will want to be comfortable with French braiding as two of these hairstyles use French braids. 15 different fun hairstyles in this video! Best of all, they are heatless as long as you don’t blow-dry your hair before you do these styles. You will want to be pretty comfortable with French braiding, as a few of the hairstyles use French braids. 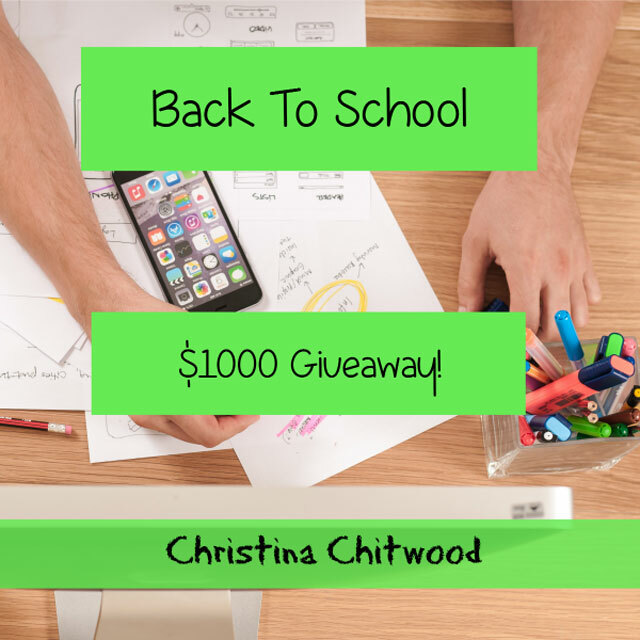 Back to School $1000 Cash Giveaway! What’s your favorite back to school tip or trick? $5oo cash will go to two lucky winners! That’s right, this giveaway doesn’t just have one winner but two winners. This giveaway is open worldwide. Be sure to make as many entries as possible for a better chance to win this fabulous prize! Terms & Conditions: This giveaway will end on August 30th at 11:59pm EST. Winners will be chosen no later than 9/7/16 via random.org and Rafflecopter. Winner will be notified via email and has 48 hours to claim prize before prize is considered forfeit and new winner will be chosen. Winner must be 18 years or older. Void where prohibited. There will be two winners for two (2) $500 PayPal cash prizes or Amazon Gift Cards. I had so much fun doing the research, finding these tutorials, trying new hairstyles, and putting together this blog post for you! You may get some of these hairstyles on the first try, and others may need a bit of practice. Stick with it, and it will be worth it. Before you know it, you will have so many hairstyles to choose from that your only concern will be which one to do that day! What hairstyles are your favorites? Which new hairstyle will you try? 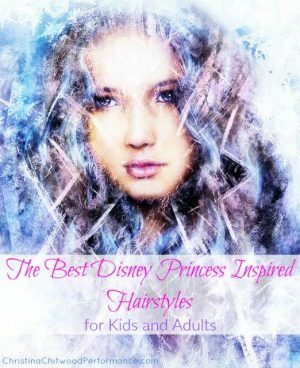 Are you looking for hairstyles for yourself or to do on your child, grandchild, relative, or friend? I hope you have a blast discovering and mastering these hairstyles! As always, have fun! Great post Christina! Thanks for doing the hard work of linking the youtube tutorials for different hairstyles as well. Awe, there’s so many pretty hairstyles. It makes me miss my long hair. Knots and braids! Easy to do yet looks chic and elegant. They all require long hair though. But shorter hairstyles wouldn’t need much styling, right? Oh well..
Wow, these are cool hairstyles… I like your collection.. Some of the hairstyles there has really caught my attention! Thank you so much for posting this! Gorgeous hairstyles for girls, those who want to look younger or want to go back to teenager can do these hairstyles. Very great post, you collect too many hair tutorial on one place. Awesome sharing. Most of the hairstyle new for me and looks lovely. These are great! 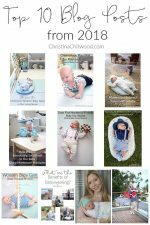 My girls would love all of these!